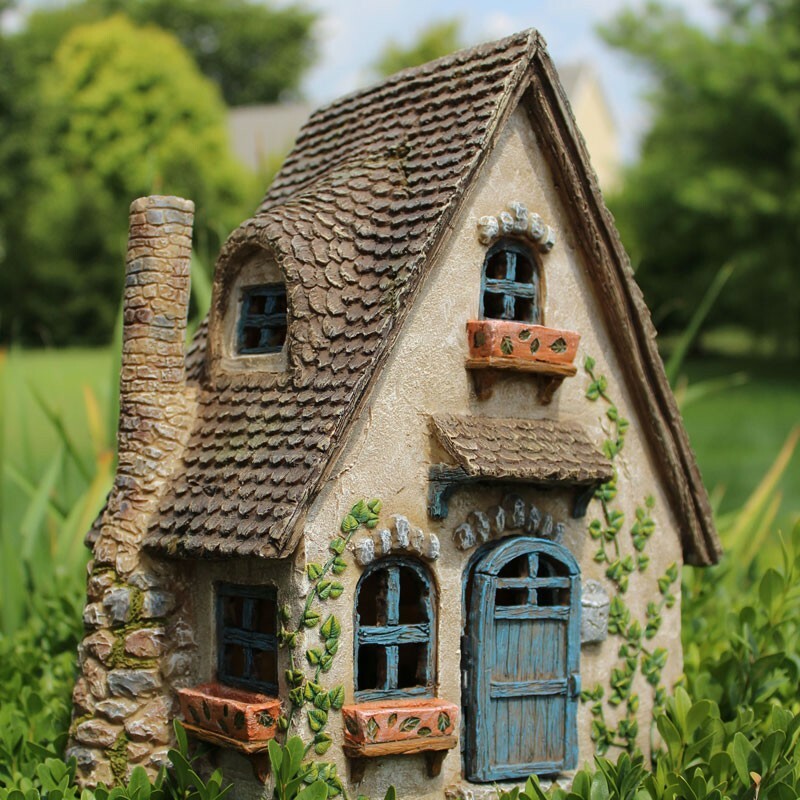 Miniature house with hinged door. Dimensions 28cm tall, 22cm wide, 15cm deep. 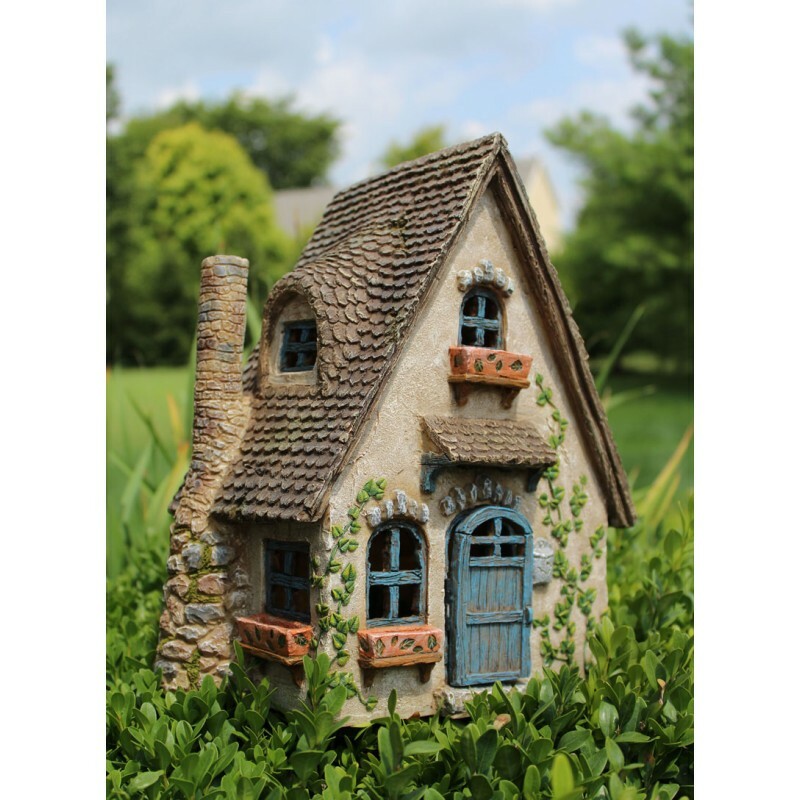 Uses A wonderful feature for a fairy garden or miniature garden. 28cm tall, 22cm wide, 15cm deep. A wonderful feature for a fairy garden or miniature garden.